Many of our clients enjoy maternity benefits on their international medical insurance investment. We have quite a few career long term insurance plans that have superb maternity cover. 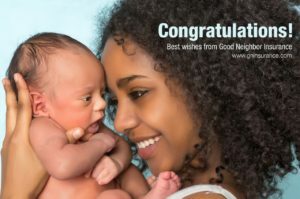 You may view them here at www.gninsurance.com/compare-international-maternity-insurance. Below is a great international career plan we feel that may fit your maternity benefits wish list as you serve overseas as expats. Twelve month waiting period: The GeoBlue Navigator at www.gninsurance.com/hth-geoblue-navigator-xplorer-overseas-travelers/#navigator may be the best option. It has a 12 month waiting period but if your wife becomes pregnant under 12 months (and the birth is not till after the 12th month on the policy) the maternity rider may be added. Most of the other international insurance plans will not accept the maternity rider if someone is already pregnant. The monthly investment for this maternity cover is between $125 to $175. Call our Good Neighbor Insurance professional agents here at our toll free number, 866-636-9100 or email us at info@gninsurance.com.